"Save $357" reflects the total savings received in promotional value when you purchase Bowflex® SelectTech® 560 Dumbbells with Bowflex® SelectTech® 4.1 Bench, and Bowflex® SelectTech® Stand with Media Rack. Offer is available to major metropolitan centers only. For customers residing in the Northwest Territories, Yukon or Nunavut please contact us at (800) 216-9028. Offer not to be combined with any other offer and is subject to availability and may change at any time. Offer is valid once to a customer and excludes previously placed orders. Offer is not valid at retail stores or outlets. Offer valid only in Canada. Offers valid for a limited time only. Adjustable dumbbells in a compact design. 30 Weights in 1 Compact System. Think you're tied to a whole rack of dumbbells at a gym? Think again. Do the same variety of exercises at home with just 1 set of adjustable dumbbells. 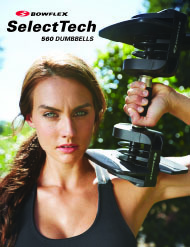 You can pay for your SelectTech dumbbells over 12 months on purchases with your Desjardins Accord D Visa card! 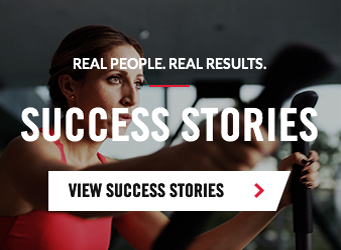 Request free info and discover which Bowflex Selecttech® dumbbells are right for you.